One of the key business priorities for most enterprises is to remove the communication bottle necks; Unified Communication (UC) solutions adoption would help with this. However, there are few adoption challenges like cost, resistance to change, and lack of awareness on the benefits derived by UC adoption. According to the International Data Corporation (IDC), the overall Unified Communications market in India has seen a marginal decline of 2.3% in 1H13 as compared to 1H12. 10% decline in Enterprise Telephony market has pulled down the overall UC revenues in 1H13, whereas other markets like Enterprise Collaborations and Contact Center have seen a decent growth of 4-6% as compared to 1H12. Enterprise Telephony market is suffering due to a combination of market factors: Firstly, IP-PBX solutions are eating into the TDM-PBX solutions revenues as the former gives better ROI for end customers. Secondly, all the major vendors have started offering Software-based IP-PBX solutions, which is cutting their hardware revenues. On top of these, IP-PBX solutions are no longer considered as business transformational tools. All these are driving the Enterprise telephony market down and pushing customers to adopt alternative solutions like Web Conferencing. IDC has seen a huge traction in Video Conferencing market as this generates a clear ROI by reducing the travel cost for organizations. However, economic downturn is limiting this market to grow further as organizations are taking a cautious approach towards overall IT spending. 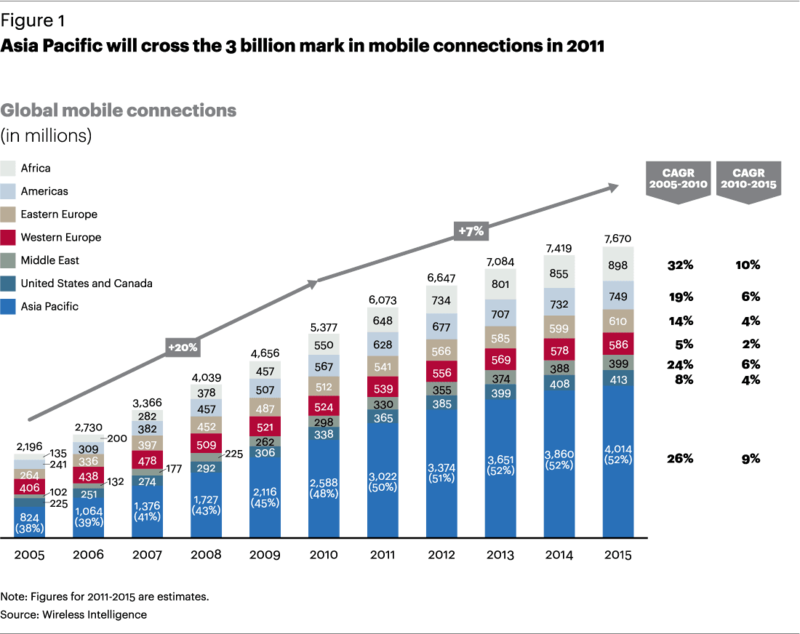 But IDC believes this impact is just cyclical and desktop-based VC solutions will witness a growing demand in the future. Web & Voice Conferencing, Team Collaboration and Enterprise Social Networking are the next high growth areas, as these solutions will help reduce the number of emails and lower the bandwidth requirement which in turn will reduce the cost and improve productivity. Contact Center market is undergoing modernization and transformation with Multi-channel/platform solutions which integrates voice, IVR, social media, email, web chat, SMS, fax etc. It helped the India Contact Center market to achieve a 4% Year-on-Year (YoY) growth in 1H13, despite the continued threat from the Philippines which is famous for their low cost of resources as compared to India. In India, Outcome-based model, though still being nascent, is garnering interest. Some key vendors are proposing for a solution where they will only charge customers based on the outcomes achieved but not on the applications/technology deployed. Dileep Nadimpalli, Senior Market Analyst, Unified Communications, IDC India says, “IDC expects a recovery for India’s Unified Communications market in 2H13 and it will close 2013 with a marginal growth. Growth will be majorly driven by Enterprise Collaboration applications like Team Collaboration, Social Networking, Unified Messaging, Video Conferencing, and Web & Voice Conferencing solutions. However, we expect Enterprise Telephony market to continue to go through a declining journey." 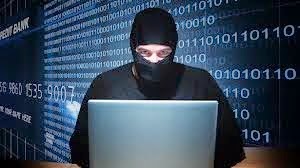 Are Indian Enterprises Target For Cybercriminals? 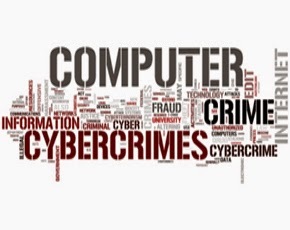 Symantec Corp's Internet Security Threat Report (ISTR) Volume 19, shows a significant shift in cybercriminal behavior, revealing the bad guys are plotting for months before pulling off huge heists – instead of executing quick hits with smaller rewards. Attackers are unrelenting in their focus on large enterprises with over 69 percent or more than 2/3rds of the targeted attacks in India carried out on them. Globally, there was a 62 percent increase in the number of data breaches from the previous year, resulting in more than 552 million identities exposed – proving cybercrime remains a real and damaging threat to consumers and businesses alike. The size and scope of breaches is exploding, putting the trust and reputation of businesses at risk, and increasingly compromising consumers’ personal information – from credit card numbers and medical records to passwords and bank account details. Each of the eight top data breaches in 2013 resulted in the loss of tens of millions of data records. By comparison, 2012 only had a single data breach reach that threshold. Globally targeted attacks were up 91 percent and lasted an average of three times longer compared to 2012. In India, cyber criminals are unrelenting in their focus on large enterprises with a staggering 69 percent targeted attacks carried out against them. Despite stepping up their information security measures, businesses in India continue to be an attractive target for cybercriminals. Furthermore, within organizations, support functions with access to critical data emerged as the strongest target for attackers globally. Personal assistants and those working in public relations were the two most targeted professions – cybercriminals use them as a stepping stone toward higher-profile targets like celebrities or business executives. Small and medium-sized businesses often have less adequate security practices and resources. Attackers are increasingly targeting smaller businesses that have a relationship with a larger company. Not surprisingly, in India, small businesses received the highest number of phishing and virus-bearing emails - almost three times as much as the larger targets. In India, nearly four in 10 attacks were carried out on non-traditional services industries like hospitality, business and personal services. This was followed by attacks on manufacturing, finance and insurance. On the other hand, globally, the top data targeted during a breach had moved from just financial information to basic information like names, addresses, email addresses and government ID proofs etc. Interestingly, while non-traditional, service- centric organizations handle such information in large numbers, they may often lack adequate security practices and infrastructure making them easy targets for such attacks. India emerged as a key threat frontier, ranking as the third highest source of overall malicious activity. While it continued to hold its position as the spam capital of the world with 9.8 percent of spam zombies; it was also the highest source of botnet spam, with 6.6 percent or close to 1.45 billion spams originating from its borders every day. India ranked especially high in the number of top botnets like Cutwail, Kelihos, GRUM and GHEG. Large botnets like Cutwail and Kelihos have made their presence felt in the threat landscape this year by sending out malicious attachments. According to the report, Cutwail which is the spam-sending botnet for the malware Pandex sends 8.06 billion spam messages every day, out of which the highest are sent from India (over 620 million). Know your data: Protection must focus on the information – not the device or data center. Understand where your sensitive data resides and where it is flowing to help identify the best policies and procedures to protect it. Educate employees: Provide guidance on information protection, including company policies and procedures for protecting sensitive data on personal and corporate devices. Implement a strong security posture: Strengthen your security infrastructure with data loss prevention, network security, endpoint security, encryption, strong authentication and defensive measures, including reputation-based technologies. Be security savvy: Passwords are the keys to your kingdom. Use password management software to create strong, unique passwords for each site you visit and keep your devices – including smartphones – updated with the latest security software. 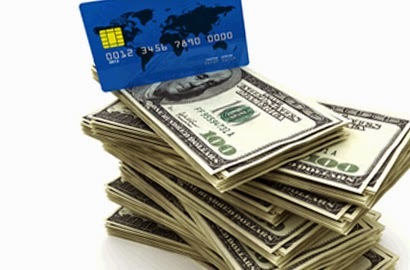 Be vigilant: Review bank and credit card statements for irregularities, be cautious when handling unsolicited or unexpected emails and be wary of online offers that seem too good to be true – they usually are. Know who you work with: Familiarize yourself with policies from retailers and online services that may request your banking or personal information. As a best practice, visit the company’s official website directly (as opposed to clicking on an emailed link) if you must share sensitive information. Emerson Network Power, a business of Emerson and a global leader in maximizing availability, capacity and efficiency of critical infrastructure, today released “Data Center 2025: Exploring the Possibilities” a forward-thinking report summarizing four months of global research designed to identify the industry’s vision of the data center in the year 2025. The results range from the expected—increased utilization of the cloud—to the ambitious—largely solar-powered data centers with power densities exceeding 50 kW per rack. One thing was clear: Most experts believe the data center as we know it will undergo massive changes over the next decade. 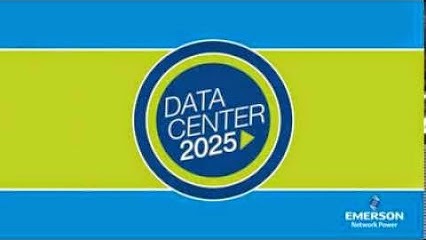 More than 800 data center professionals from around the world responded to the Data Center 2025 survey, with dozens of others contributing their thoughts via interviews, email and video. The feedback, viewed collectively, indicates most in the field remain bullish on the data center industry and on continued innovation in the IT space and beyond. For example, on average, experts predict density in 2025 will climb to 52 kW per rack. According to the Data Center Users’ Group sponsored by Emerson Network Power, average density has remained relatively flat since peaking around 6 kW nearly a decade ago, but experts are anticipating a dramatic upswing in density that could radically change the physical environment of the data center. * Big changes in how data centers are powered: The experts believe a mix of sources will be used to provide electrical power to data centers. Solar will lead, followed by a nearly equal mix of nuclear, natural gas and wind. Sixty-five percent believe it is likely hyperscale facilities will be powered by private power generation. * Cloud forecasts are somewhat conservative: Industry experts predict two-thirds of data center computing will be done in the cloud in 2025. That’s actually a fairly conservative estimate. 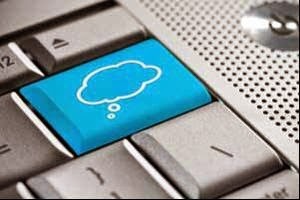 According to Cisco’s Global Cloud Index, cloud workloads represent around 46 percent of current total data center workloads, and will reach 63 percent by 2017. * DCIM will play a prominent role: Twenty-nine percent of experts anticipate comprehensive visibility across all systems and layers, while 43 percent expect data centers to be self-healing and self optimizing. Taken together, that would indicate 72 percent of the experts believe some level of DCIM will be deployed in 2025—significantly higher than most current estimates of DCIM adoption. * Utilization rates will be higher: That increased visibility is expected to lead to more efficient performance overall, as 72 percent of industry experts expect IT resource utilization rates to be at least 60 percent in 2025. The average projection is 70 percent. That compares to estimated averages today as low as 6-12 percent, with best practices somewhere between 30-50 percent. Autodesk, Inc. has announced the release of its Autodesk 2015 Design Suites in India, featuring tighter integration with Autodesk cloud services. – The 2015 Design Suites offer customers the ability to collaborate, simulate, analyze and more, with just one click from within the suite. 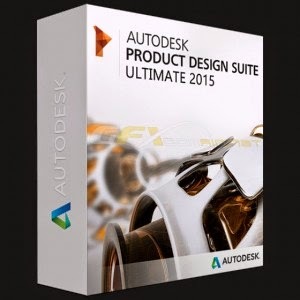 Each Autodesk 2015 Design Suite includes AutoCAD 2015, the most advanced version of the software. AutoCAD 2015 comes with a new interface and enhanced productivity tools that will enable customers to experience a new standard in design and documentation. Additionally, Autodesk Subscription offers customers even more convenient, flexible ways to access necessary tools as per their requirements, to help grow their business. 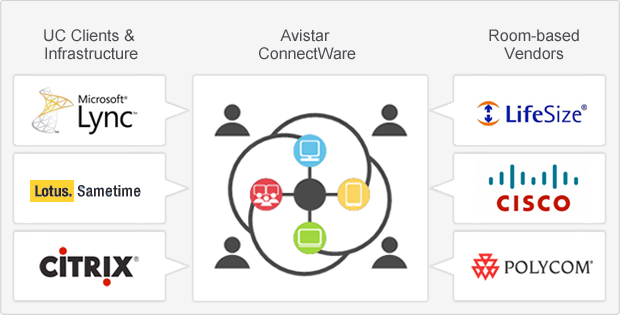 Autodesk subscription connects customers with software updates, services and support that help get the most out of their investment in Autodesk software now and in the future. · Autodesk AutoCAD Design Suite offers a refined visual interface, better point cloud support to bring the real world into the AutoCAD canvas, and easier ways to work with online maps and other geographic location information. · Autodesk Building Design Suite delivers better integration with BIM 360 cloud services, enhanced point cloud capabilities, and numerous customer requested improvements for Autodesk Revit, including a new sketchy lines feature, ability to include imagery in schedules, enhanced hidden lines capability and more. · Autodesk Factory Design Suite introduces easier moves from 2D AutoCAD drawings to 3D factory layouts with streamlined transitions from legacy workflows; point cloud support for “as is” facility capture; extended use of Factory Design data; and enhancements to Factory Design Mobile app. · Autodesk Infrastructure Design Suite includes major enhancements to AutoCAD Civil 3D software, including improved user interface, greater flexibility for corridor modeling, more efficient creation of profiles layouts, better production drafting, and simpler ways to create custom subassemblies. · Autodesk Plant Design Suite rolls out significant enhancements to AutoCAD Plant 3D software, including center of gravity, bill of materials (BOM), fixed length pipe modeling, piping and instrumentation drawing (P&ID), and isometric improvements. · Autodesk Product Design Suite launches with exceptional modeling capabilities, a new user experience, and workflow enhancements. Actual features and functionality vary by edition (Standard, Premium, Ultimate) of each suite. Visit the In the Fold Autodesk blog for more in-depth details on the 2015 Design Suites for Autodesk manufacturing, architecture, engineering and construction, infrastructure and oil and gas industry customers. Customers in the architecture, engineering, and construction, and infrastructure markets can expect to experience significant productivity improvements through one-click access to BIM 360, cloud-based building information modeling (BIM) software for collaboration and management of construction projects. Autodesk InfraWorks 360, which offers civil engineers additional cloud services for collaboration and analysis at the early stages of infrastructure design, includes an updated UI, support for more data formats, enhancements to Roadway Design for InfraWorks 360 and a new application Bridge Design for InfraWorks 360. The Design Suites for these fields also feature full integration of the Autodesk 360 Rendering service, which uses the virtually infinite computing power of the cloud to create high-resolution renderings efficiently. Manufacturing industry customers will now have easy access to new offerings such as Process Analysis 360, a cloud-based service that shall help engineers and system designers in modelling, studying, and optimizing manufacturing processes. This accessibility – combined with other feature enhancements and refinements –obliterates the barriers to entry so that everyone can design and engineer great products. Autodesk Subscription offers the most convenient, modern, and flexible way for customers to purchase and access the software and services that is required to grow their business. It also provides new purchasing options that enable customers to choose the plan that best fits their current project needs and budget. 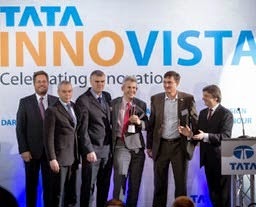 Tata Innovista 2014, a group-wide programme, held annually by the Tata Group Innovation Forum (TGIF) to encourage, recognise and showcase outstanding innovations done by Tata companies across the globe, received over 1700 entries, this year. From a total of 56 Tata companies who submitted their entries in Tata Innovista 2014, 31Tata companies reached the regional rounds. The entries at the regional rounds, held in Delhi, Mumbai, Bengaluru, Jamshedpur, London, Washington DC, and Singapore, were judged by eminent external experts. 83 teams from 25 Tata companies were shortlisted for the global round that took place in Mumbai on April 23, 2014. The Core process and Support Process innovations category received most entries, 345 and 376 respectively. This signifies that the concept of innovation is getting embedded at Tata companies moving beyond product innovations to processes like HR, finance, supply chain, IT, brand, marketing and logistics, among others. 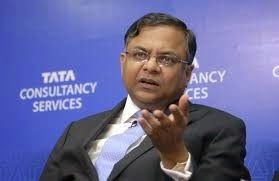 New Product and New Service categories saw 164 and 128 entries respectively, indicating that Tata companies are increasingly looking at market driven innovations. The finalists were judged by a panel of internal and external jurists, comprising of distinguished personalities of the likes of Mr. Ravi Kirpalani, Managing Director, Castrol India Ltd., Ms. Vinita Bali, Managing Director, Britannia Industries, Mr. Ashok Gupta, Executive Director & CEO, Indo Rama Synthetics, Ms. Ireena Vittal, Independent Strategic Advisor, Blufin Advisors, Mr. Michael Foley, Managing Director, Foley Designs Pvt. Ltd, Mr. Sudhir Jain, Director, IIT Gandhinagar, Mr. Tony Harper, Head – Research & Advanced Systems, JLR, Mr. Ananth Krishnan, Chief Technology Officer, TCS and Mr. Debashish Bhattacharjee, Group Director, Research Development and Technology, Tata Steel, among others. In 2006, the Tata group started the process of capturing and celebrating innovations of Tata companies through Tata Innovista. The objective of this programme is to capture innovations in Tata companies, encourage innovators and innovations in Tata companies, share the levers used by them to identify and execute innovation projects, and create a culture of risk-taking. In order to support Tata companies in their journey of innovation, TQMS, a division of Tata Sons, formed the Tata Group Innovation Forum (TGIF) in 2007. The objective of TGIF is to encourage, inspire and help create a culture that promotes innovation in Tata companies. Over the past six years, TQMS, under the guidance of TGIF, has been connecting Tata companies all over the world, stimulating innovative thinking and encouraging collaborative research. 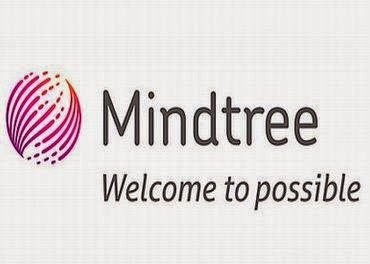 Mindtree, a global information technology solutions company, expanded its US operations by opening its newest delivery center in Redmond, Washington. The state of art facility will focus on building talent and delivering cutting edge solutions in the areas of Cloud, Mobility, Infrastructure Management and Testing Solutions (IMTS). The 13,000 square-foot facility, located adjacent to Microsoft’s corporate campus, has an initial seating capacity of 125 with room to increase that capacity quickly over time. 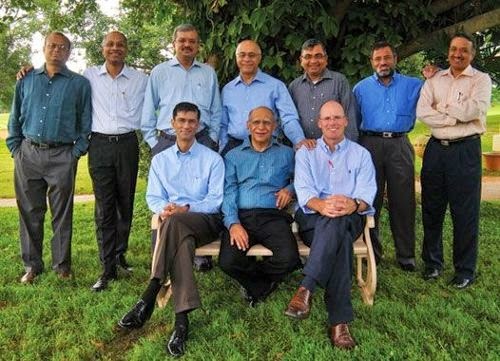 This is Mindtree’s second delivery center in the U.S. The first was established in Gainesville, Florida in 2012, pioneering the right sourcing trend and now serving more than 15 clients with a specific focus on Agile Development. The US delivery centers, being in a US time zone complement Mindtree’s existing global delivery centers, enhancing our ability to deliver time-to-market and cost advantages through right-sourcing. “Mobile and Cloud are playing a transformational role in our client’s business roadmap. Between the talent available in Redmond, our academy of excellence and existing pool of experts, we will be able to deliver meaningful solutions onsite,” said Kamran Ozair, Executive Vice President and Head of Redmond USDC, Mindtree. “The presence of Microsoft, one of our largest clients, makes Redmond a strategic location. Our experience engineering next generation solutions for Microsoft give our new delivery center a very strong foundation,” he added. Tata Elxsi – a global product engineering services provider that works with leading MSOs, OEMs and semiconductor companies across the broadcast spectrum and a forerunner in RDK space - today unveiled its RDK Reference Deployment Suite to operators adopting RDK. The Reference Design Kit (RDK) is a pre-integrated software bundle that provides a common framework for powering customer-premises equipment (CPE) from TV service providers, including set-top boxes, gateways, and converged devices. The RDK is supported by more than 125 licensees, is being widely adopted by TV service providers, STB manufacturers and SoCs vendors across the globe. Tata Elxsi provides a comprehensive set of services which includes App Development, Localization, Porting & Validation, System Integration and Deployment support to customers in RDK space. Tata Elxsi has established its leadership in RDK space by directly participating in commercially deployed RDK solutions. With a pool of RDK experts, partnerships, necessary infrastructure and ready to use solutions; Tata Elxsi is well positioned to support to RDK ecosystem partners in developing and deploying RDK based solutions. Tata Elxsi’s RDK Reference Deployment Suite is a scalable reference implementation for RDK rollout, enabling operators to quickly adapt their client / back-office for RDK deployment. The package includes an HTML5 Application Framework, RDK specific servers and a set of HTML5 apps - and is aimed to enable operators to accelerate RDK deployment. “As a leading system integrator in RDK space, we enable operators to strategize and accelerate RDK rollout in alignment with their business and technology goals. Being a key partner to RDK Management and some of the leading equipment, chip and third-party software vendors in RDK space, Tata Elxsi is well positioned to support operators in taking advantage of RDK” – says Thangarajan M, Vice President & Head - Broadcast Business, Tata Elxsi. We welcome all RDK licensees to connect with us at Cable Show 2014 to learn more about our RDK based solutions and services. Gemalto, a leading digital security company, has been selected by Red Hat to implement digital security tokens that enable secure remote access for the company’s more than 6,000 employees. Red Hat is the world's leading provider of open source software solutions, using a community-powered approach to reliable and high-performing cloud, Linux, middleware, storage and virtualization technologies. 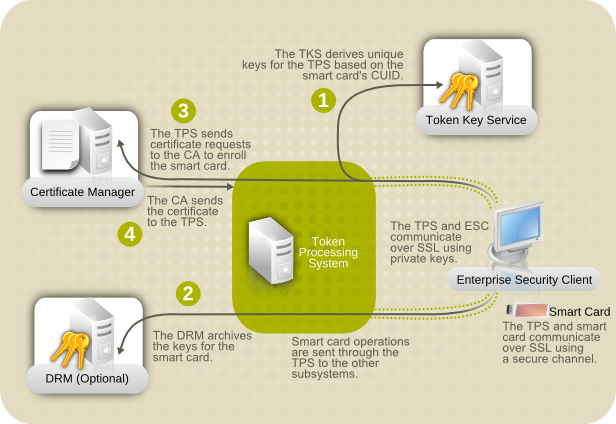 Gemalto’s Protiva token integrates easily with Red Hat's strong authentication technology for employees connecting to the company's virtual private network (VPN) and security assertion markup language (SAML) enabled applications. Red Hat is at the forefront of open source technology, making it essential that their sensitive information is protected by more secure measures than just a username and password. 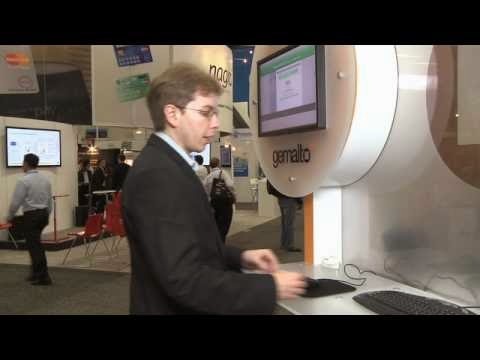 Utilizing Gemalto's security form-factor Red Hat receives secure remote access, with an extra layer of security. With the importance Red Hat places on open standard solutions, the interoperability of Gemalto's solution gives Red Hat the flexibility to easily integrate it into their existing and future IT systems. Implementing multi-factor authentication offers advantages on top of the immediate security benefits to enterprises; it is also a preventative measure that can reduce costs from helpdesk calls related to password resets. "We needed a security solution that provided the same standards we work to promote, and Gemalto's product and customer support throughout the deployment enabled our members to easily integrate the token into our multi-factor authentication process without missing a beat," said Jay Madison, Senior Director, Information and Services, Red Hat. "Gemalto and Red Hat share the same mission of innovation as well as the dedication to providing high-performance software products and services, such as future-proof cloud computing solutions," said Thomas Flynn, Vice President of Identity and Access for Gemalto North America. "The two-factor authentication market is growing rapidly and we are seeing that in more and more enterprises, strong authentication has shifted from being considered a best practice to now being a security policy obligation." 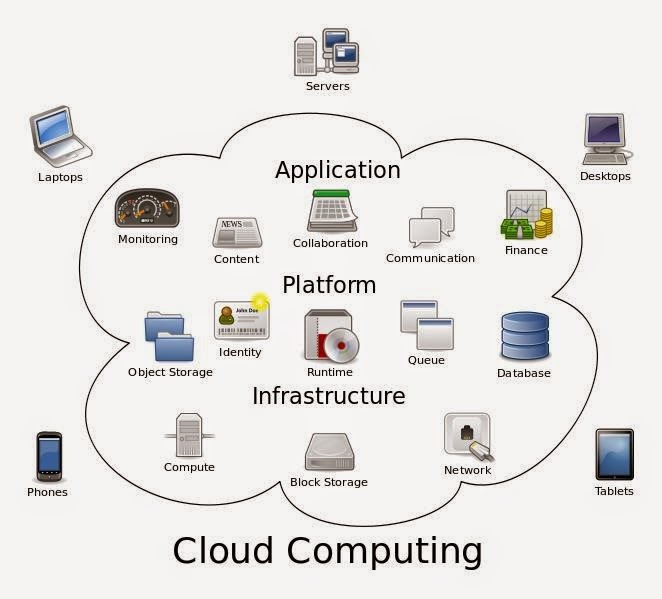 The public cloud services market in India is on pace to grow 32.2 percent in 2014 to total $556.8 million, an increase from 2013 revenue of $421 million, according to Gartner, Inc. Spending on software as a service (SaaS) will total $220 million in 2014, growing 33.2 percent from last year. "Growth of cloud services in India reflects the demand for new sourcing models," said Ed Anderson, research vice president at Gartner. "We expect high growth rates across all cloud services market segments in India." International Data Corporation (IDC) the premier global provider of market intelligence, advisory services, and events for the information technology, telecommunications, and consumer technology markets has expanded its footprint in South Asia by entering Sri Lanka and Bangladesh. With fast growing economies and a rapidly expanding middle class, both countries are on an IT adoption curve as evidenced by IT market growth across various categories. Eva Au,Managing Director, Asia Pacific, IDC Asia/Pacific said, "According to IDC, the expected PC CAGR in the next 5 years for Bangladesh is 7% and Sri Lanka is 5%. It is a stark contrast against APJ and Worldwide with an expected CAGR of 0.3% and -0.3% respectively. The South Asia region compared to APJ and Worldwide has seen some phenomenal growth. For instance, PC consumption in both countries is expected to grow in the near future as majority of customers will buy it as a first time purchase. While many users in both countries still prefer to own one device that is suitable for all computing activities either consumption or creation, acceleration in broadband will create potential for exponential growth of ultra mobile devices like Tablets and Smartphones." She further added, "With such large market potential, it goes without saying that IDC will increase its research efforts in this part of the world." Jaideep Mehta, Vice President & General Manager, IDC South Asia expressed his delight, " Both these countries are becoming increasingly important IT markets, and IDC is seeking to fulfill its mission of entering markets ahead of the curve, and then producing world class market intelligence for the benefit of its customers. This move will bring us closer to the local markets and ensure accurate tracking of important IT domains." With over 50 years of history, IDC has been providing strategic insights to help clients achieve their key business objectives. 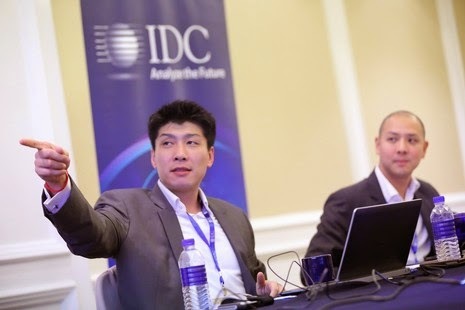 More than 1,000 IDC analysts provide global, regional, and local expertise on technology and industry opportunities and trends in over 110 countries. Chief (Cambodia) Specialized Bank PLC (CCSB), a bank providing financial solutions to corporate, small and medium enterprises and agriculture-based customers in Hong Kong, has gone live with Polaris’ state-of-the-art Intellect® Core Banking, Lending, Trade and Treasury Solution in Cambodia. CCSB chose Polaris Financial Technology Ltd, a leader in products, solutions and services that enable unprecedented operational productivity for the global Financial Services industry, to implement its Core Banking, Lending, Trade, Treasury, Armor (Security Shell) and Integrator (Middleware for interfacing), enabling it to commence its operations in Cambodia. Intellect's UBS implementation in Chief Specialized Bank is designed to facilitate the growth plans of the bank in terms of unique positioning, business scaling, product depth and meeting ever evolving customer expectations. 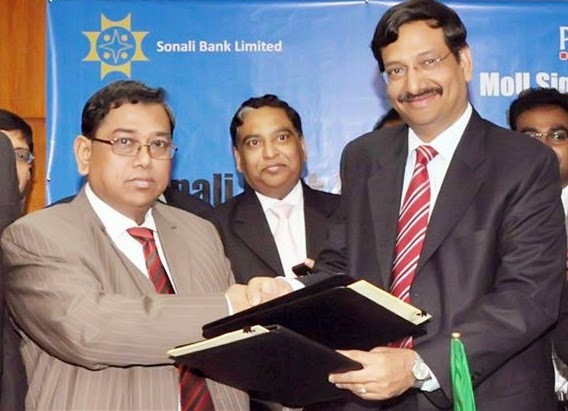 Polaris' highly scalable Core Banking Solution for emerging markets has paved the way for CCSB to have a competitive edge over competitors, which is essential for steady business growth. Intellect UBS enables the bank to increase its efficiency, performance, security and transparency of its day-to-day operations allowing its customers to enjoy a higher level of service. The Intellect software has facilitated smooth integration with other systems and has provided a platform for ensuring risk control through its various processes and controls. Polaris Intellect UBS’ rich functionality designed for banks, straddles the entire range of banking operations from basic Core modules, General Ledger, Operational Accounts, Deposits, Loans and Advances, Security Services Module, L/C Module, Counter Operations, Clearing Operations, Remittances, to other focused modules such as Integration Middleware, MIS and Analytics, Audit Trail and Access Control with Single Sign-on. This unique solution is perfectly suited to develop, modify and launch innovative products and services, thereby improving the go-to-market timeline in a rapidly developing economy such as Cambodia. 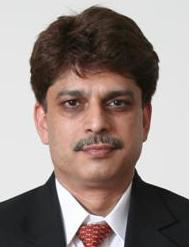 DHFL Pramerica Life Insurance Co. Ltd. (DPLI) has announced the appointment of Anoop Pabby as the new Managing Director & CEO of the Company. Pabby has over 25 years of experience in the retail financial services sector including as Managing Director & CEO of Deutsche Postbank Home Finance Ltd. and President - Strategic Initiatives at Dewan Housing Finance Corporation Ltd. 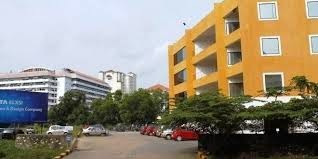 He has also held several senior management positions at Cholamandalam MS General Insurance Company Ltd. and Royal Sundaram Alliance Insurance Co. Ltd. He has vast operational and strategic experience in leading turn around challenges as well as successfully closing complex M&A transactions and subsequent integration exercises. Pabby took charge as DPLI’s CEO Officiating in February this year and under his leadership, the Company has accelerated its performance over the last two months. It has reported a significant growth in premium collection and has also improved its industry ranking.